One stunning of Hollywood movies is special effects. Their effects are so powerful, sometimes difficult to distinguish which ones are real and which ones are just CGI (Computer Graphic Imagery). 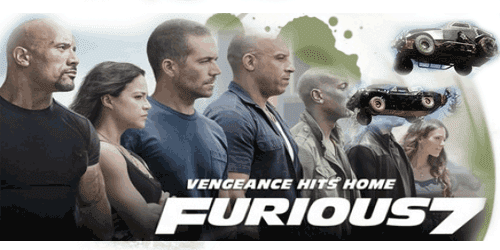 The film is currently enjoying success, FAST AND FURIOUS 7, is a film that is a bit anti the use of effects. They prefer to use a stuntman instead of using special effects. In previous films, the production team often use a stuntman to race scene. As for FURIOUS 7 even more spectacular by dropping the car off the plane at 10,000 feet without effect. This means there should be driving the car in the air. As reported by NPR, stuntman who perform stunts are Jack Gill. Jack was often a stunt double in major films crate Dukes of Hazzard and KNIGHT RIDER. "When you're doing stunts, you're going to think about the bad things that could happen. It is a natural thing," said Jack Gill of the action in the movie starring Vin Diesel. Jack Gill also admitted there own adrenaline thrill of doing dangerous things for the movie. "When the scene ends, it feels amazing" he concluded.